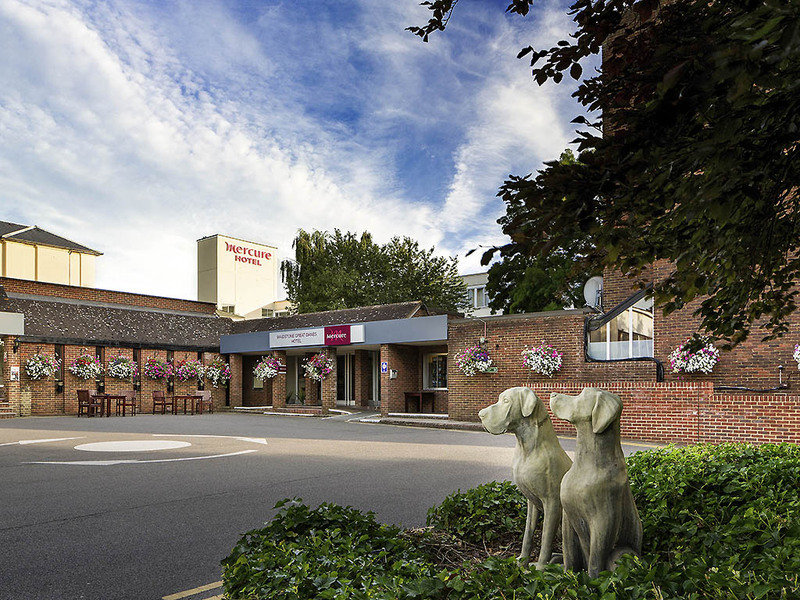 Set amongst 26 acres of beautifully landscaped private gardens, the Mercure Maidstone Great Danes Hotel is the ideal location for a relaxing stay. Guests can enjoy a visit to the historic Leeds Castle, which is located just a stone's throw from the hotel, and return to indulge in a meal of internationally inspired cuisine in The Arts Brasserie. Those looking to unwind can find solace in the Feel Good Health Club. The hotel is just five miles from Maidstone East railway station. Bluewater, Europe's largest shopping centre, 23.5 miles away. The historic Leeds Castle is just next door. Ashford Eurostar terminal is 17 miles away and London is an hour by train from. Come and sample traditional British and internationally inspired cuisine and a selection of fine wines to compliment your meal at The Bar & Brasserie. Enjoy a relaxed atmosphere whether you are sat in the bar area, or at your table. Traditional & internationally inspired cuisine and selection of wines. Friendly & helpful service amongst individually styled surroundings which offer a relaxed atmosphere for an enjoyable dining experience. Live music most Friday & Saturday evenings.